How would you like to get a BIG discount on one of our retreats next year? Well there’s 2 ways SAVE on our 2019 Retreats! #1. We’re extending our $200 OFF discount to BOTH 2019 retreats until the end of the year! So THAT’s exciting news, right?! We are only holding 2 Art & Faith Creative Retreats next year (because we are building a house and Gathering Place next year) and so we decided to offer the discount on both the Italy retreat AND the Vermont retreat as a special THANK YOU for all the people who have joined us on our retreats since 2012. So take advantage of this discount until December 31st and sign up before the New Year! We think MORE is Merrier! #2. As in gathering together some of your friends to join you & splitting the cost of the hotel or apartment! We usually list pricing for just Double or Single occupancy, but did you know you can stay in an apartment or hotel with up to 4 people to a room? This helps reduce your costs significantly! Therefore we’ve decided to add that on our price list for those who have asked for triple or quad rooms. These retreats are truly designed by God as He draws us closer to Him and it’s so beautiful to be a part of, as we come together as a community of believers who share a love of Art & Faith. We think it makes the perfect place to share with old AND new friends! 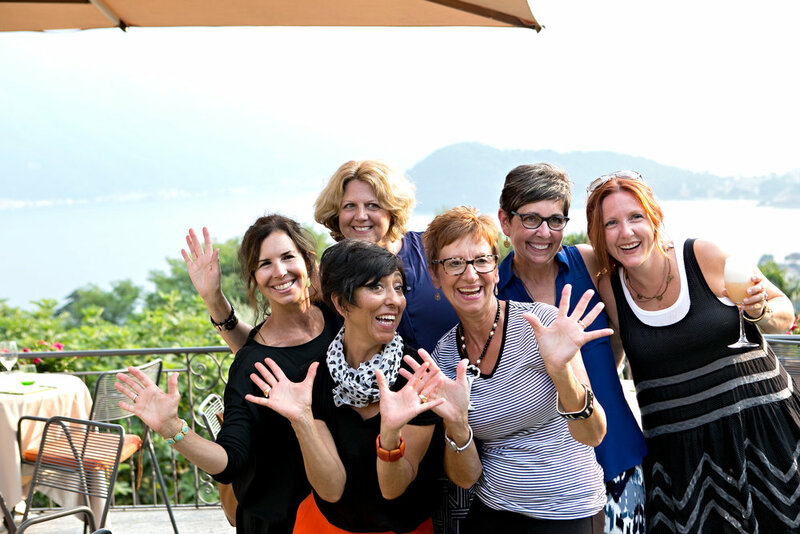 So we hope you will have a look at both of our retreats for next year, look at the expanded price list, and go grab some friends to join you in Italy or Vermont next year! We just opened up registration for the Vermont retreat so there are more spaces available for that retreat than the Italy retreat. But whichever retreat you choose to join us on, we know you will be blessed and the Lord will work in your life. We pray over each retreat that we would be able to share the Love of the Lord with you, that you will enjoy time to “be still” and you would be refreshed and renewed in your walk with the Lord. It’s amazing to see how He always gives us a theme each year that seems to be just the right thing for each person He has called to be there. So we hope you will pray over this decision because we know if you lift this up in prayer the Lord will direct you to the retreat He wants you to be a part of. And if it’s not next year, maybe it’s the year after that, because we plan to host these retreats as long as the Lord allows us! Have a BLESSED day and we really look forward to meeting all of you next year!